Phil is a gifted healer with the ability to see the energetic body, to access ones entire soul journey and to connect with the higher self and oversoul to bring about powerful transformations. Phil can offer assistance in many areas. In recent times we have experienced a major energetic shift – perhaps you have felt it too. 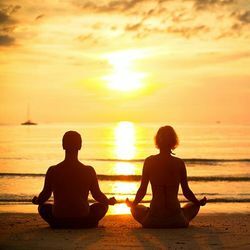 Subsequently, wherever you may find yourself on your spiritual journey, there has never been a more opportune time for rapid progress, deep healing, major shifts, quantum leaps in consciousness, and connecting with and embodying the multidimensional energies, which are now more accessible than ever via the alignment and activation of the higher spiritual chakras, connecting with and merging with our higher self and oversoul. If you suffer from or have ever felt any of the following, spiritual healing can assist you to reach your goals. You’re ready to take a giant leap forward spiritually. You feel blocked in your ability to step into your life purpose. You’re a skilled healer, psychic, therapist, life coach, or of service to others, but you struggle with your personal life. Your sense of being grounded and fully present in this reality is an ongoing issue. You have known energetic blocks, which won’t shift, or return after being healed. Your life is lacklustre, and you feel as though something is missing. You feel like you don’t belong here. You’re homesick and wish to return home. I specialise in, and am most rewarded by, my ability to perform the deep healing and energetic alignments required before these higher chakras can be safely brought online. Once achieved, this process leaves one firmly grounded in this reality, whilst experiencing a joy and bliss that most are lost for words when trying to describe. 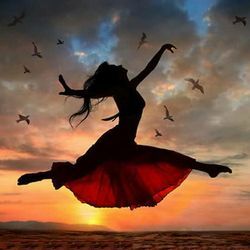 If you have struggled with not wanting to be here, feel like you don’t belong, are not sure of your life purpose and/or haven’t been able to step into it, or, life is simply lacklustre – lacking joy and flow, then activating the higher spiritual chakras will be a game changer. 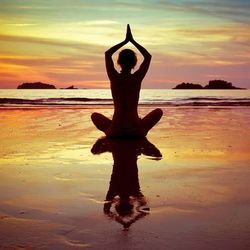 The spiritual journey will change from one of healing to a journey of discovery and remembering who you really are – a powerful spiritual being in a human body. As you embody ever-higher light frequencies, and merge with your soul essence, a truly profound shift occurs. Lightworkers often have very unique energy signatures/structures which can manifest as very unique challenges. An area Phil specialises in! In this lifetime, many lightworkers have taken on a dual role. Consisting of healing/working on lifetimes of their own issues/traumas, as well as their soul agreement to assist others. It’s common for many lightworkers to have had difficult lives, or at least, stages of their lives have been challenging. Their own healing journey and search for answers is often the catalyst for their awakening and stepping into their life purpose. The compassionate and loving nature of these souls can lead to a considerable imbalance in their energy if they are driven to be of service whilst either ignoring their own healing needs, only partially self-heal, or are not able to self-heal their bigger issues. While they may excel in the role of their soul purpose, they often struggle in their personal lives. Conversely, they may be so greatly affected, stuck, or engrossed in the number of their issues to be healed, that their life purpose, or spiritual side, is non-existent. Some of these people exist almost exclusively in either the physical world, the spiritual world, or are constantly flipping between the two – energetically unbalanced, which often manifests as a very unbalanced existence. We can merge the two and exist in both worlds simultaneously. In fact, that is exactly how it is supposed to be! Lightworkers are here to perform an important role, but are no more special than anyone else. Everyone has the same latent potential to evolve energetically/spiritually, if they so desire. We are all on our own unique personal journey – it isn’t a competition or race to the finish line. However, if you have felt the universe giving you a nudge, are sick of and frustrated with your lack of progress, or you’re just ready to take a giant leap forward spiritually, then I would love to work with you. Specialising in conditions that haven’t responded to other treatments, either conventional or alternative. 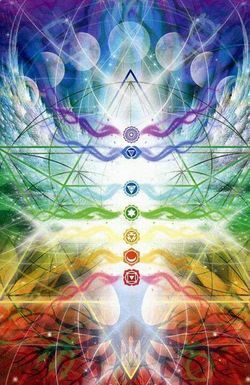 The majority of diseases and illnesses that we experience have a corresponding chakra or energy block somewhere within our body or energy field. For the condition to be fully healed, and to prevent it from reoccurring, it’s necessary to get to the root cause. 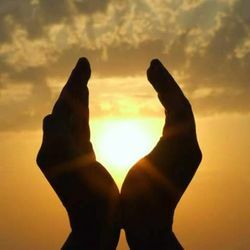 The advantage of energy medicine is that it isn’t necessary for the client to have to experience or relive the traumas or experiences, which are at the root of the condition. Nor is it necessary to have to experience any of the corresponding suppressed emotions. In fact, to do so can be unhelpful, and even hinder recovery. In many cases it is possible for illnesses to be fully healed with energy medicine alone, however, I don’t believe this to be the best approach. Once a condition has manifested as a physical illness or disease, then it is time to avail yourself of multiple healing strategies for optimal physical healing. Emotions are a normal, healthy part of our human experience and are a useful tool for navigating our way through life. Not being able to fully express, feel, release, or work our way through those emotions we deem to be negative, can have far reaching consequences for our future wellbeing. We either become stuck in the emotion, unable to move forward, or we suppress it out of our conscious awareness. Suppressed emotions stay with us, sometimes over lifetimes. They can block our chakras, our healthy energetic flow. Over time they can affect us in various ways, ranging from actual physical illness, to experiencing extreme emotional outbursts – even from the smallest of triggers. Conversely, we can shut down emotionally; resulting in a life experienced as bland and unfulfilling. These resulting behavioural changes can also affect our relationships with friends and loved ones. Expressing our true self can become near impossible when experiencing suppressed emotions, and our overall sense of wellbeing and contentment becomes illusive. Following a traumatic event, you feel stuck, unable to move forward through the grieving process, or desire assistance to experience this process more rapidly. Many find great benefit in working in conjunction with both an energy healer and a professional counsellor for emotional healing. A life event has triggered a disproportionate emotional response – a sure sign of a larger underlying issue, which can easily be resolved by journeying to the source of the issue. Life is only OK. You are experiencing a lack of uplifting, positive, feel-good emotions. Emotional turmoil is the norm for you; despite all previous attempts to transform your emotional experience. What do I feel I need to let go of? Is there someone or something I need to forgive? What is holding me back from moving forward in life? Perhaps you have you tried to change. But, even with the best of intentions, you end up doing the same old things in the same old ways. You’ve read books, taken various courses, had the firm resolution – even told all of your friends about your goals, only to swiftly return to the same old place in your life. Sometimes you feel worse and then beat yourself up for breaking your own promises. You are stuck in an endless cycle of bad relationships, money problems, health and weight issues, addictions, unfulfilling work life, and/or an inability to step into your life purpose. To target any of these issues you may be experiencing, on their deepest level, may need outside help in the form of an energy healer. When specific life issues are targeted in a session of energy healing, the blocks, which are holding you back, or preventing manifestation of more desired behaviours, become prominent, and are easy to target. Their removal and subsequent healing become extremely effective. The following stage is a process, which clients often find extremely rewarding – moving forward to a time where your goal is achieved, and we can clearly examine your triggers. Sabotage issues often relate directly to a self-perception of unworthiness to have what you ultimately desire. Such issues become apparent during the healing process, and can be transformed before they are triggered in real life. I wasn’t new to energy healing when I went to see Phil. I was at a stage in my spiritual evolution where I felt like I was ready to take a huge leap forward, but I was in the dark about what to do next. What I did know was that it wasn’t something I could achieve by myself, and I needed to seek someone out who would understand the nature of my journey. A friend referred me to Phil and I haven’t looked back. Phil is not what you might expect. He’s not your average esoteric practitioner. He is quiet, considered, approachable, and genuine. He also happens to be a highly gifted healer with links to the world of spirit that are difficult to describe, but nonetheless real and divinely inspired. I knew after working with Phil, I would never be the same. He helped clear blocks to my progress and re-align my energy. Since then I have felt more in flow than ever before. I have a clearer sense of purpose and my passion for life has been reignited. He has also inspired a sense of confidence in me, that on a personal level, I am profoundly grateful for. I have, and happily continue to, recommend Phil’s healing services, and encourage anyone who wants to take the next step in their journey, be it on a physical, emotional, mental, or spiritual level, to do the same. Several years ago I developed a chronic illness accompanied by constant debilitating pain. Having been through the gambit of conventional medical treatments, I found a treatment regime which was the best possible outcome I could expect to achieve. The amount of medication I needed to consume was leaving me listless, suffering from extreme fatigue, and fluctuating levels of pain – from a mere discomfort to being bed-ridden. Going from being highly functioning to predominantly housebound, my emotional state was, to say the least, fragile. While I had come a long way through my grieving for the life I once had, I realised the path to full acceptance was still somewhat out of my reach. At the recommendation of a friend, I started seeing Phil. Being a scientific kind of girl, I was completely new and unfamiliar with the type of work Phil does, but was open to try something new. Initially, for me, it was about relaxation and pain relief… an accompaniment to my recent discovery of the benefits of mediation and mindfulness for pain management. After the first session with Phil, I experienced a state of calm and relaxation I had not felt in years. My body was more flexible, mobile, and for a time, pain free. With each following session, the amount of time spent pain free continued to increase and my condition continued to improve. I don’t presume to say I understand exactly what is happening to me in my sessions with Phil, but I do know that they have enabled me to find more peace, comfort, and quality of life. I have also been able to discontinue several of my medications without any adverse effects. On the contrary, I no longer suffer from the side effects of those medications. I have nothing but wonderful things to say about what Phil has done for me. Phil is warm, unassuming, and authentic in both who he is and what he does. If you are hesitant, don’t be. Contact Phil, you will not be disappointed. I went to see Phil when my natural shamanic healing and psychic abilities began to shut down. I had participated in particular attunements that didn’t match my vibration. Phil was able to see and remove what was blocking me, and before I even got off his table I could feel all my abilities flowing back in. I haven’t looked back since! I would highly recommend Phil to anyone feeling blocked in any area of their life. Mentally, physically and spiritually. I began to see Phil on the recommendation of a friend. I was depressed and not a day would go by without crying. I had had a stroke whilst pregnant and lost my baby. It wasn’t possible for me to even talk about what had happened. With each session I felt shifts. My choked-up throat would free up, I would be able to talk about it and let stuff out. I was finally able to release and felt so much better/lighter after each session. Before working with Phil, just seeing my reflection, or having someone offer me a seat due to my stroke induced physical disabilities would cause me to burst into tears. I’m now able to face and accept the outcome of being disabled, and process things in a positive and constructive way. I have now given birth to a beautiful, healthy boy, and although on occasions I feel down due to not being able to participate in the activities I once enjoyed, I do feel the joy in life once again. Working with Phil was worth its weight in gold as I didn’t want to have to take antidepressants, anti-anxiety, or anything that was going to mask the symptoms I was experiencing. It was worth so much to me, and my core values, to be able to do something that got results, and didn’t involve taking medication. I recently turned to Phil for help at a time when I was completely burnt out from my corporate career. Although I thought I knew all the solutions – having worked with healing and remote energy myself in the past, and living a healthy lifestyle (apart from the excessive stress and long hours) – nothing seemed to be working. I was physically sick, emotionally and mentally exhausted, and I was at a loss as to how to turn things around. I booked a remote healing session with Phil as I couldn’t get to see him in person. He spent about 45 minutes with me (although I’m sure he was doing some additional work beforehand). We spoke briefly on the phone, and then I relaxed while he proceeded with the session. Phil’s sessions are exceedingly gentle for the client, but deliver powerful results. By the end of the first session I could feel physical shifts within my body. I was tired and slept soundly for a long time that night. In the following days my physical health started to improve and I felt that I could continue to improve on my own. I had one follow up session, which was all I needed to set me on my way. I’m not suggesting this was an instant miracle cure for eight years of burnout, but it was an almost instant removal of some energetic blockages that were preventing my usual healing processes from taking place. I have found Phil to be very genuine, ethical, and humble in all my dealings with him. He is also generous with his time and knowledge. He only provides what is needed and there’s no suggestion of endless ongoing work or cost. If you’re feeling drawn to Phil’s work, then I encourage you to go ahead, and trust that you will be in excellent hands. Phil creates miraculous shifts that will change your life, and he delivers them in such a calm and gentle way. When I realised my past-life experiences were holding me back, I went to Phil for help. Before the end of the first session, my perspectives had shifted and a whole new world had opened up to me. I am so grateful for his guidance, and the ongoing support he has provided. If you are stuck and feel like your energetics are out-of-order, then I recommend Phil to help you get back on track. To put it simply, the sessions I have had with Phil have totally and completely changed my life. Before working with Phil, I secretly carried so many burdens within me – too ashamed to seek help, too afraid of being seen as crazy. Without doubt these hidden parts of me would have become too unbearable to continue to carry, and my life would have degenerated. I have seen Phil for so many things! Such as, being unable to sleep with my back to the door, an irrational fear of total strangers, depression, and anxiety. I have shared the darkest parts of myself, which I wouldn’t even breathe a word about to another person, and Phil ALWAYS took me seriously, in his stride, and without judgement. I could walk in knowing exactly what the problem was, or have absolutely no idea what was going on, except that something within me just wasn’t feeling right. In all cases, he would go straight in there and heal it. It is a relief to be able to take the parts of yourself that disturb even you, be able to ask for help, and actually be helped. Phil has a rare and beautiful gift. Working with Phil has released me of countless burdens. I now have the inner freedom and clarity to have whatever life I wish. I am lighter, happier, and wiser, and I could never be more grateful. I consider myself blessed to have had fate on my side in bringing me to Phil and his amazing healing abilities. I cannot recommend him highly enough. Thank you, Phil. Phil changed my life with his long-distance energetic healing. It was so great to do it that way, and I would not have had it any other way. I loved that I could be in total privacy and comfort, tuck into bed afterwards, or just sit and relax. I turned to Phil as I knew I needed something drastic, and strong, to help me past some debilitating loss, grief and anger. Before experiencing Phil’s long-distance energetic healing, I was doing what everyone does when they start. I tracked down a practitioner, commuted to their centre, sat, and waited… and after trying to relax fully, I’d get the treatment. Afterwards, I’d hop up so they could take their next appointment, and then drive home. The experience was hardly conducive to deep relaxing! In contrast, doing this remotely with Phil, I was able to be in the environment of my choice – it was ideal! First, we had a quick face-to-face via Skype. I then got off the computer while Phil worked his magic. I could feel it all very deeply as I felt totally safe, at ease, and could fully relax being in my own home. Afterwards we had a quick check-in, and I didn’t have to go anywhere. I could just bask in the change and let myself rest. I loved that! I definitely recommend Phil’s long-distance healing as the best possible way to get a deep and fast result. Oh, and in case you wonder if you are too far away for this to work, don’t. During the whole program, Phil and I were a couple of oceans and hemispheres apart (from east coast Australia to west coast North America), and it worked great. For Phil’s long-distance healing, the distance doesn’t matter at all. He’s that good. Really though, even if you are in the same town, I would recommend you try Phil’s healing this way, where you can be in your own private home space for the entire session and really allow yourself to fully relax and get the deepest results. With deepest gratitude for healing my life, Phil.